The concept of modular phones has gone from non-existent, to completely modular everything, and back again. The more you can embed into a phone at once, the slimmer the design and often everything ends up being efficient. Where modularity makes sense is when the ecosystem is large enough, and the optional mods to choose from actually make some sense. Motorola has been running its Moto Mod collection for at least two years now. The modular component is on the rear of the phone, which limits the smartphone dimensions if mods are designed to be transferred from one generation to another, but in the Moto Mod arsenal includes a bigger battery, a Hasselblad camera, big speakers, and now is set to include a 5G modem and antenna array. One of the main differences between current modem and antenna technology and 5G is the size – implementing 5G will require a good amount of power and space, and as a result most analysts have to this point expected 5G to come to industrial and large use cases first. 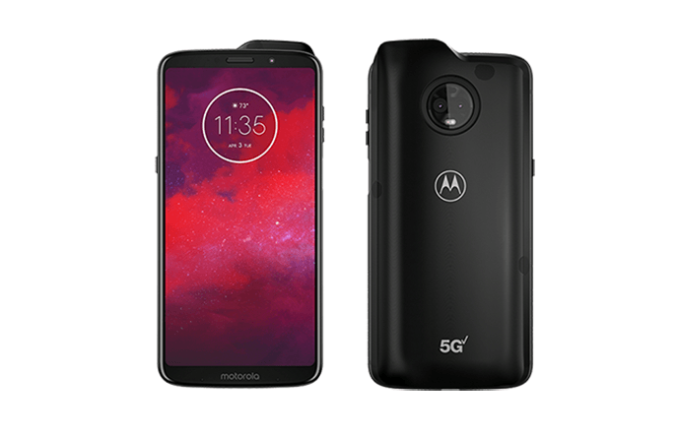 However Motorola has announced that one of the future mods, coming in 2019, will be a US 5G capable add on for the moto z3. Inside the unit will be Qualcomm’s Snapdragon X50 mmWave 5G-capable modem and QTM052 mmWave antenna solution, along with 2000 mAh of extra battery. 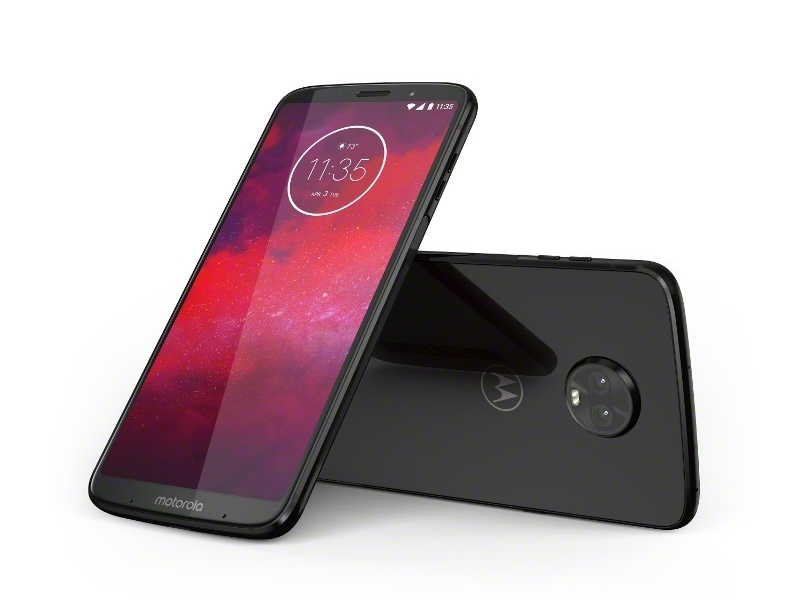 The new mod, according to Motorola’s press release, will promise uninterrupted 4K live streaming, lag-free gaming, VR experiences, and the fastest download speeds ever, using the Verizon 5G network. Motorola has yet to announce pricing or specifications beyond the design, such as weight and effect on battery life, but states it will be ‘ready’ in early 2019. The state of Verizon’s 5G network will also be a question mark, and likely limited to particular regions of cities to begin with. For the smartphone to attach the 5G modem to, Motorola’s new moto z3 is a 6-inch 2280x1080 smartphone running an 18:9 aspect ratio and an OLED display. Inside is a Snapdragon 835 with 4GB of LPDDR4X memory and 64 GB of UFS 2.1 storage. The front glass is Gorilla Glass 3, with an 8MP f/2.0 wide-angle (84-degree) camera on the front. The rear cameras consist of a 12MP f/2.0 primary RGB camera and a second 12MP mono-chrome unit to assist with image enhancements, depth sensing, and contrast-related focus. The smartphone will be available on Verizon for $480 retail from August 16th, with up to $300 off a new 2-year contract with a trade-in. They said 3G would be amazing, it was meh. They said 4G would be amazing, it was meh. I don't understand why most manufactures ignore this big market. It's not a niche market, Apple is selling millions of "small" iPhones: the 7 and 8 still sell better than their Plus counterparts! This is exciting. Not for the 5G. For the price point. Verizon is offering $300 off with a trade in. $180 comes to $7.50/month! 835 SoC for less than $10/month? Yes. I got my 16:9 screen ratio MotoZ2 play for 99¢/month on black friday and love the value. I'm sure Moto/Verizon will offer the 18:9 ratio screened Z3 at $10-$5/month sooner than later. Keep yr eyes open for a that.